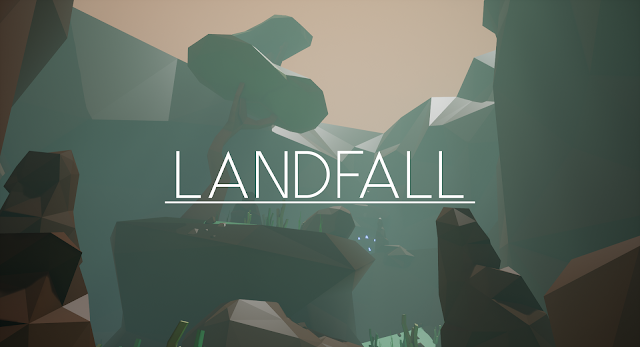 I've been working away at Landfall, chipping away at all the remaining tasks and trying to polish everything ready for release. This has primarily taken the form of the creation of additional creatures and flora for the player to discover throughout the game world. In addition to this I have been fixing bugs and creating new features such as a variant feature for certain fauna, meaning each biome will have slightly different versions of creatures to discover. This allows me to increase the diversity of the in game lifeforms and add more hidden things for the player to discover. Landfall is primarily an exploration focused experience, and so filling the game world with small creatures, plants, relics and locations is at the heart of what im trying to do at the moment. I want the players to feel rewarded for exploring the environment and searching every room to build their Scan Log to increase their understanding of the game world. I am so happy to finally present the first trailer for Landfall and I cant wait to release the game later this year. The music is by the wonderfully talented @TomAGarner who is providing the soundtrack to the final game. Im so excited to share more of his work closer to the time because it really great and gives the world so much depth and mystery.